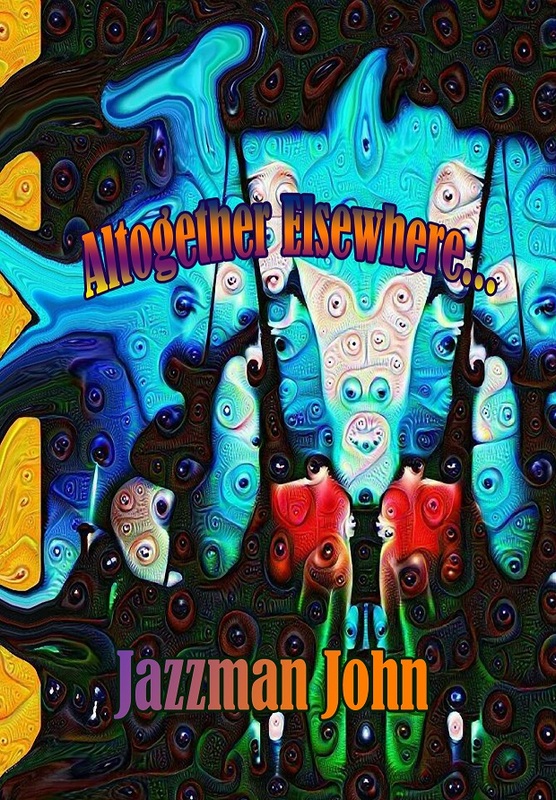 Jazzman John Clarke’s Altogether Elsewhere is a vibrant journey between reality and fantasy. The truths are strong, poignant and positive. The dreams are the shifting sands of sunsets and twilight visions. This chapbook is richly illustrated by Pete Smith who captures London’s dissociative landscapes that are both urban and pastoral, real and unreal. Poet, writer and performer, John Clarke is a well known name in London’s poetry performance scene. Born of Dublin parentage, he devoted more than two decades of his early career in commercial banking before finding the Muse in the mid to late 1990’s. Clarke is affectionately known as ‘Jazzman John’ due to his abiding influence from & interest in Jazz, Jazz styles, structures and rhythms. He is well-known for his collaborations with a wide variety of talented musicians & this fact often feeds into & inspires his writing. John has also run a series of ‘alternative’ events throughout London, featuring, mainly, poets, musicians, singer-songwriters & performers. He is known to be good at spotting talents early & indeed the Jazz Combo ‘Ledbib’(shortlisted in the jazz category for the prestigious National Mercury Music Prize in 2009) were given some significant early ‘gigs’ by him. John has performed in the South of France with a Jazz/Blues/Funk outfit,& more recently in 2009 both in Italy (Genoa & Bologna) with experimental & improv musicians, The International Poetry & Music Festival, Ruigoord, Amsterdam & at The Edinburgh Fringe Festival. Jazzman John Clarke lives in South East London.